Ada pertanyaan untuk Desert View Apartments? 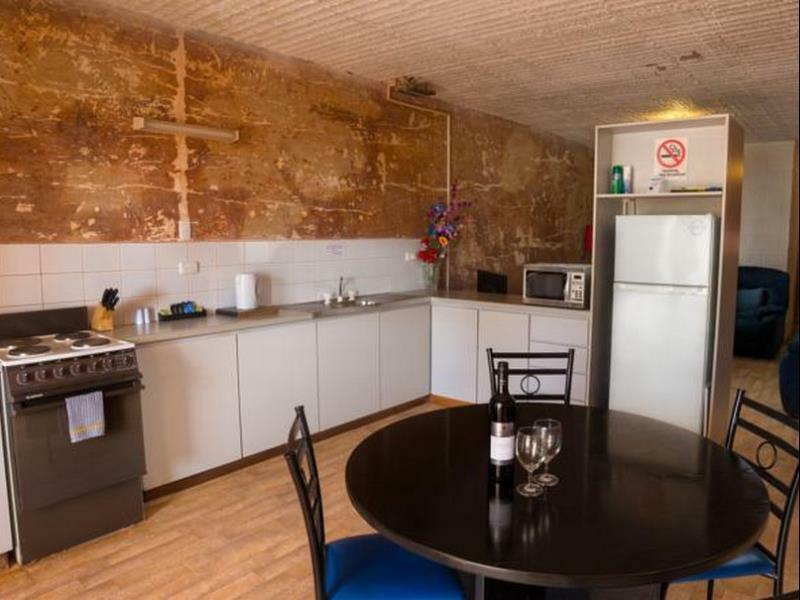 Jika apa yang Anda cari adalah hotel yang terletak strategis di Coober Pedy, carilah Desert View Apartments. Hotel ini tidak terlalu jauh dari pusat kota, hanya 7.1 km dari sini dan umumnya hanya membutuhkan waktu 10 menit untuk mencapai bandara. Dengan lokasinya yang strategis, hotel ini menawarkan akses mudah ke destinasi yang wajib dikunjungi di kota ini. Di Desert View Apartments, pelayanan istimewa dan fasilitas yang unggul akan membuat pengalaman menginap Anda tidak terlupakan. WiFi gratis di semua kamar, penyimpanan barang, Wi-fi di tempat umum, tempat parkir mobil, antar-jemput bandara hanyalah beberapa dari fasilitas yang membedakan Desert View Apartments dengan hotel-hotel lain di kota ini. Suasana Desert View Apartments tercermin di setiap kamarnya. televisi layar datar, akses internet - WiFi, akses internet WiFi (gratis), kamar bebas asap rokok, AC hanyalah beberapa dari fasilitas yang dapat Anda nikmati. Hotel ini menawarkan fasilitas fantastis, termasuk lapangan golf (sekitar 3 km), kolam renang luar ruangan, taman bermain anak, taman, untuk membantu Anda bersantai setelah sepanjang hari beraktivitas di kota. Temukan paduan menarik dari pelayanan profesional dan sejumlah fasilitas di Desert View Apartments. I have stayed at this site a number of times before. i like it primarily because of the location and the view. I also like that I am able to prepare my own food - given that I usually get to Coober Pedy about closing time for eating establishments. There are a few basic food preparation tools in the kitchen, including plates, cups, glasses, cutlery. The Management have always been friendly and helpful, apartments are comfortably fitted out and it is very quiet. I felt I could have been messing Tina around when my booking experienced some possible stressful changes, but top marks to Tina for going out of her way to make the stay as smooth as possible. Now THAT'S what travel in the outback needs quite often...supportive and experienced staff. The apartments were quiet and so so cool. They are in a very safe and secure part of town. Units are so big as well so you don't feel you're cramped at all. Thanks Desert View Apartments 10/10. For 120 bucks a night i atleast expect clean sheets. The pictured play ground does not exsist... there is a kids swing in a tree... it’s broken... and my son cut his leg on it... The pool (main reason we picked this accommodation) was out of order. On a 40 plus degree day. The king bed was good... I guess i just expected a lot more given the website and the over edited photos . Overall not a place I would recommend to anyone. Fam not working in the room. Broken toilet flush - rooms not cleaned . Kitchen appliances very old not able to use - tv cables broken and lying down openly in the living room. Unsafe. We came into Coober Pedy on Greyhound and arrived at 5ish in morning. Hotel owners knew we were arriving and actually were waiting for us at depot. Our accommodation was incredible to say the least. Situated on a hill we had the most beautiful sunsets/sunrises. Wow. Would stay there again most definitely. This place had everything we needed for self catering. 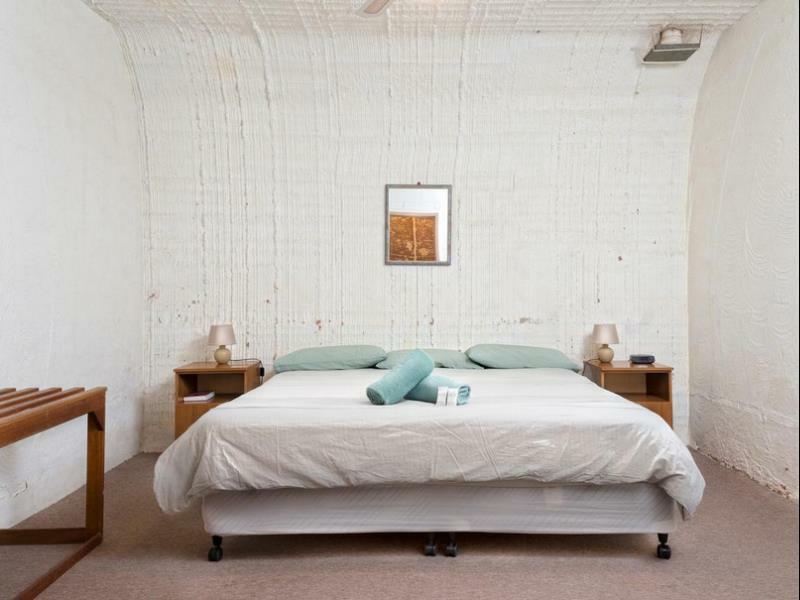 They're spacious apartments and great value for overnight business travellers or for anyone needed to take care of business in the area for a week or so. Added bonus is a shady late-afternoon courtyard, swimming pool, and a nice view of the desert. The novelty of staying underground was cool - as was the temperature. Stacks of room with full facilities. We won't hesitate to stay here again. Friendly, clean, spacious and everything worked. The apartment is big, however, the decoration seems a little aged, it is time to remodel it. the desert view just outside the yard is wonderful. The kitchen facility is enough for us, the big refrigerator is so big which is also a point of sales. It is very good for family traveler, or a group of friends. Was looking for dog friendly accommodation and this was perfect. 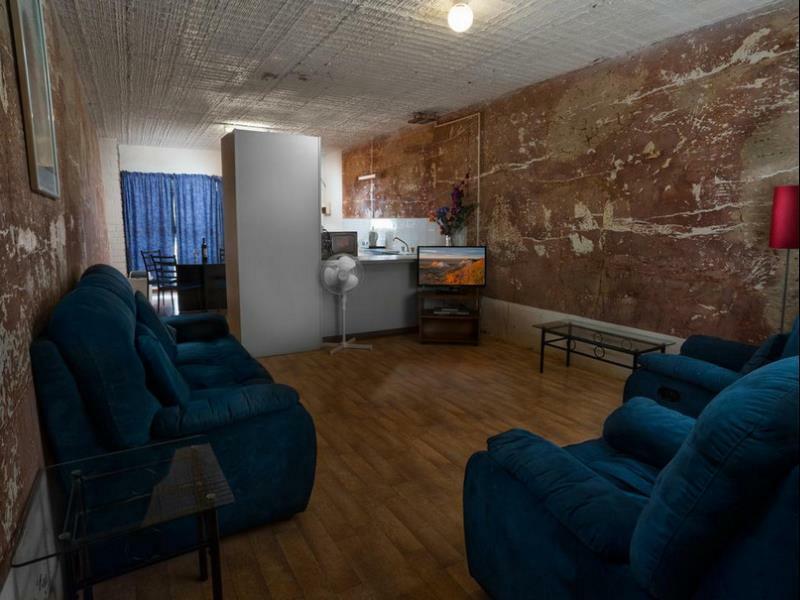 Great underground apartment , complete kitchen, very friendly staff ! 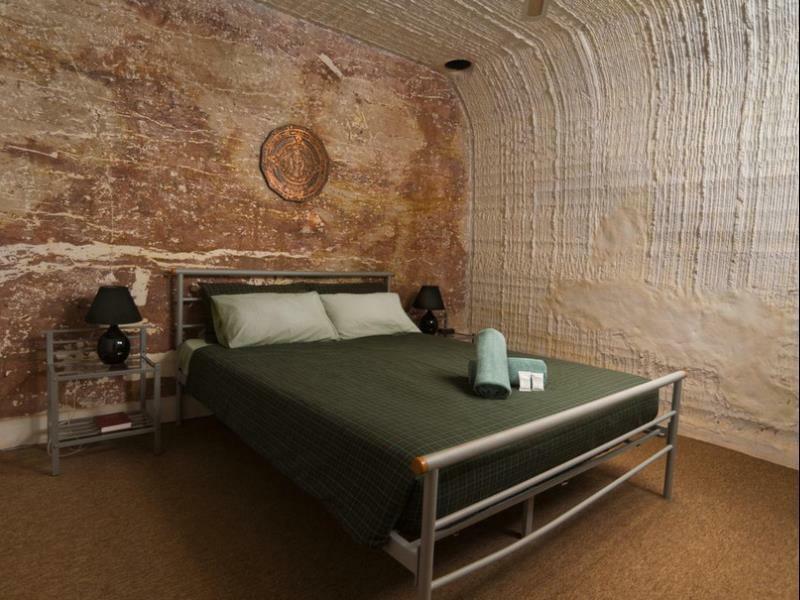 Good value for money in an unusual motel being underground. Great friendly place to experience life living understand. Well set out and clean.